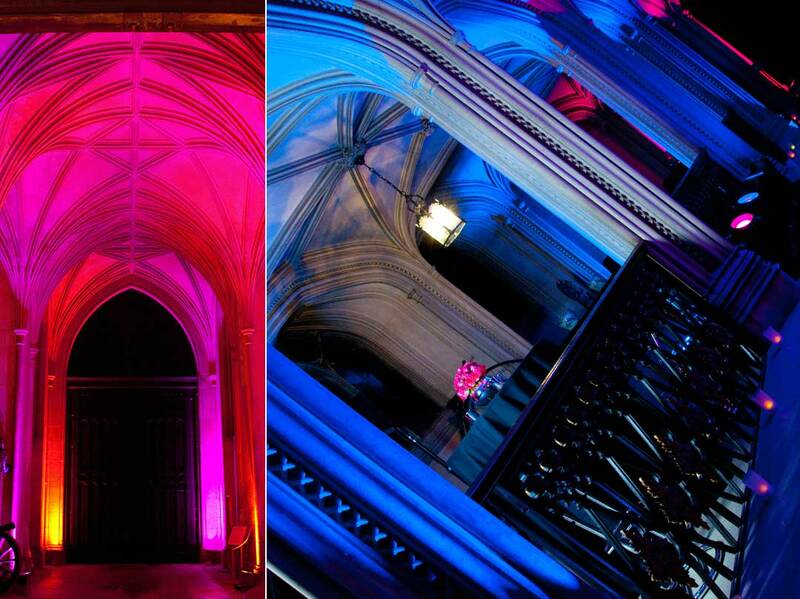 For this 40th birthday celebration, JustSeventy were asked to take over all planning and production following the client confirming his venue of choice: a beautifully traditional and grand castle. Not only was this a stunning venue and special birthday, it was also going to be a three-day getaway with an itinerary to keep all guests on their toes and entertained throughout the whole weekend. One beautifully important part of the weekend was an emotional renewal of their wedding vows to take place at the castle which perhaps didn’t follow the birthday theme but was equally important to the occasion. 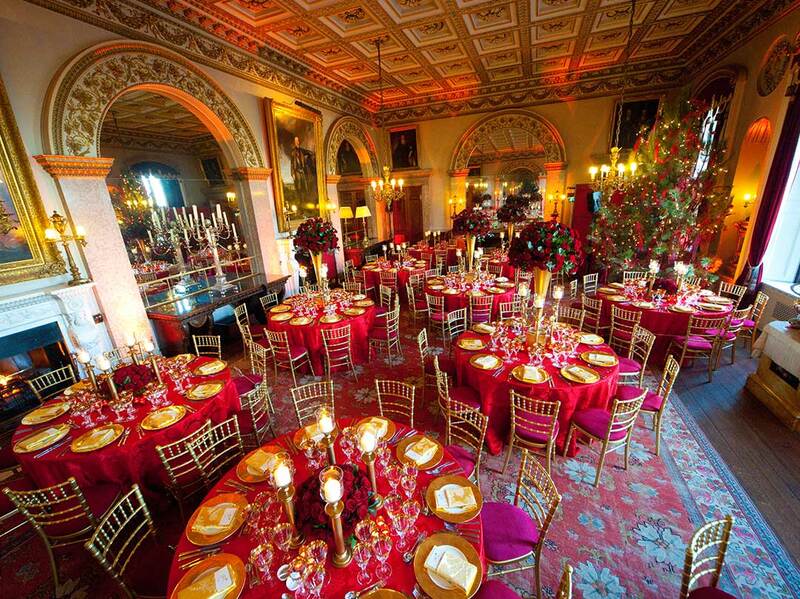 The main part of the weekend was the glamorous dinner event which took place in the opulent Great Hall. 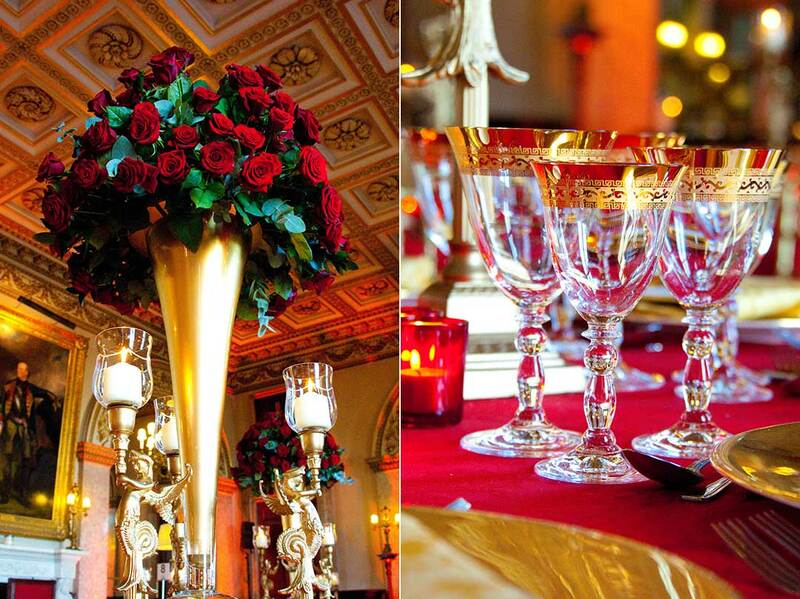 It was already a beautiful space in which to work, but the addition of red roses, gold tableware and red table linen, along with the spectacular Christmas tree, enhanced the glamour of the occasion. 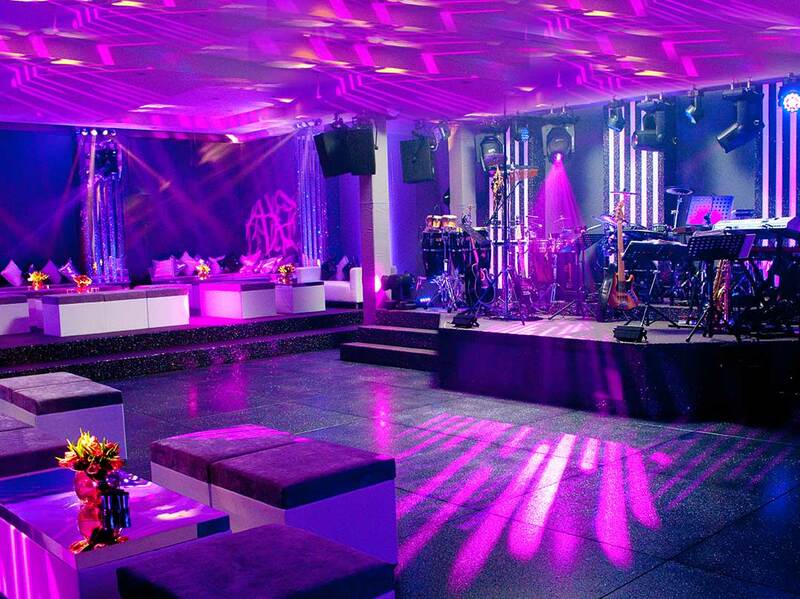 Following the dinner, guests were involved in an unforgettable party with a show band sourced by JustSeventy and flown in from Paris especially for this celebration. The guests loved partying the night away and, before leaving the next day, there was still time for a leisurely brunch before bidding this magnificent castle farewell.